Strokes claim twice as many womens’ lives as breast cancer. 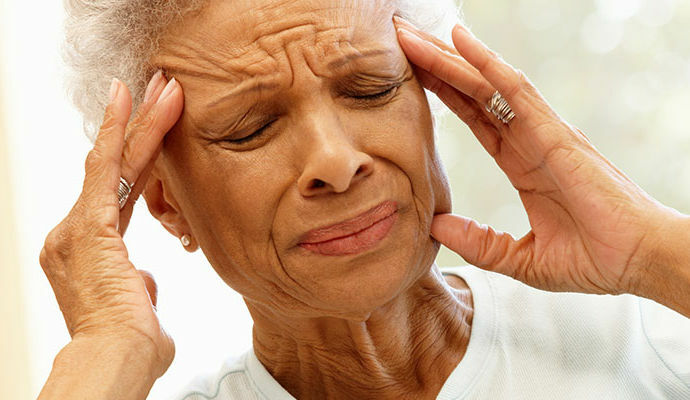 In this second look at cardiovascular problems, we examine so-called ‘brain attacks’ – strokes – and their impact on women. You feel faint. You can’t stop hiccupping. Your left arm is oddly numb. But you shrug it off as a tough morning workout. Should you? It can be hard to distinguish a stroke from an ordinary ache or pain, but for women over 45, it’s worth knowing a few important things. “The key word is sudden,” says Jose Biller, MD, Neurology Department Chairman at Loyola University Chicago Stritch School of Medicine. “Strange symptoms, arm pain, confusion, slurred words that come out of nowhere; these are serious.” Strokes and heart attacks share common risk factors, but they target different organs. While heart attacks kill cardiac tissue, strokes damage the brain. Strokes claim twice as many womens’ lives as breast cancer, according to the Centers for Disease Control, and women face worse outcomes. And an estimated one in five women will suffer a stroke at some point, partially because women outlive men. The good news? Eighty percent of strokes are considered preventable. Ischemic strokes account for about 85 percent of all cases and occur when arteries leading to the brain are narrowed or blocked, reducing blood flow. Hemorrhagic strokes result from burst aneurysms or leaky blood vessel that harm brain tissue. Whatever the cause, a stroke victim can seem to behave oddly, appear confused, or look ‘lopsided.’ Women may exhibit unpredictable and unusual presentations, with uncontrolled hiccups, nausea, or hallucinations. The key to diagnosing a stroke is to assess the situation FAST. F—Face: Is the face is asymmetrical, the expression strange, or are features drooping? A—Arms: Can she raise both arms, or does one drift downward? S—Speech: Can she repeat a phrase, or is speech slurred, unclear, or unusual? T—Time: Seek immediate help by calling 9-1-1 if these symptoms exist. Sadly, a 2010 study revealed that women generally wait longer for care and receive poorer emergency treatment; a potentially deadly combination. Neuroanatomist Jill Bolte Taylor, Ph.D. was only 37 when she felt her brain slipping away. Initially fascinated, she attempted to power through “breaks in reality” only to discover later that she’d had a massive brain bleed. She has her own prescription for detecting problems: STROKE. Karen L. Furie, MD, MPH, chair of neurology at Brown University, warns women to take even fleeting moments of high blood pressure seriously. “Blood pressure is the single most important risk factor for stroke,” she says, “and if your pressure spikes in the doctor’s office – the ‘white coat’ syndrome – it may also climb when you’re rushed, anxious, agitated or nervous; things that happen in daily life.” These frequent increases can damage blood vessels, setting the stage for a stroke. So, women should religiously track numbers if they suspect a problem. “Buy a home blood pressure cuff and use it at various times, or go to the pharmacy or the gym and take frequent readings there,” she advises. Plaque can precipitate a stroke when it narrows or blocks the carotid artery leading to the brain. So, requesting a painless carotid artery scan, a quick ultrasound of the neck can reveal any potential issue. Although such tests are not always part of a routine screening, and therefore may not be covered by insurance, they provide important clues about potential stroke risk. For Dr. Biller, hormone replacement therapy is a red flag. “High estrogen concentration among premenopausal women protects against stroke and cardiovascular disease, but after menopause hormone replacement therapy increases stroke risk,” he says. HRT can help treat osteoporosis, hot flashes, and other conditions accelerated by menopause. But when a woman has other risks – whether diabetes, smoking, or obesity – HRT can be ill-advised. “If you’re taking HRT because you think you’ll improve your cardiovascular system, you’re not getting the result you think,” he cautions. AF’s uncoordinated heartbeats can allow blood to pool, clot, and eventually travel to the brain. But it’s treatable. Medication can stabilize the heartbeat or a minimally invasive ablation procedure can burn away misfiring heart tissue. And for everyday tracking, many home blood pressure monitors can record, and warn of, irregular heartbeats. A Journal of Clinical Epidemiology study found that migraines with auras can increase the odds of developing ischemic strokes. Taking hormones, smoking, obesity, or diabetes hikes the threat.